Other Supply & Logistics reviews by real, verified users. Find unbiased ratings on user satisfaction, features, and price based on the most reviews available anywhere. 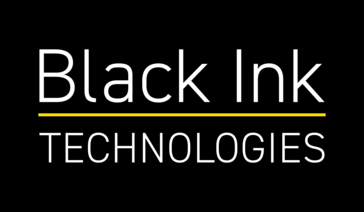 Black Ink Technologies provides cloud-based, advanced analytics solutions specifically built for the Power Equipment industry. Now, independent dealers, distribution channels and their suppliers can sell more products - smarter and faster - to improve financial performance. The EyeOn Suite offers fro products uniquely addressing the needs of the business: EyeOn Inventory, EyeOn Demand, EyeOn Promotions, and EyeOn Industry. Guided demo requests available. Applegate Marketplace helps buyers source the products and services they require for their business. Quick, easy and free-to-use, its cloud-based procurement system, Applegate PRO, enables buyers to request multiple quotes for anything from office supplies to engineering components. The online marketplace, freely available through Applegate, provides buyers with fast access to over 140,000 suppliers and many millions of products. 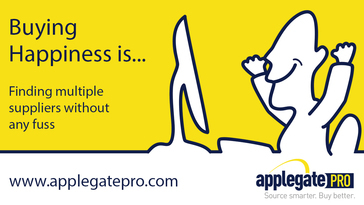 Through innovation and expert solutions, Applegate are the business marketplace. For 20 years Applegate has helped buyers source the products and services they need. As a CIPS Knowledge Partner, we work with the Chartered Institute of Procurement and Supply to support professional development of procurement staff and help raise standards in business buying. Launched in 2016, Applegate PRO provides a new web-based eProcurement platform that can simplify tendering processes. •	Submit your request to receive quotes from the supplier or suppliers that fit your requirement. •	Set a deadline for responses. •	Set minimum requirements for suppliers quoting on your request. •	Save time while obtaining the best value. •	Increase traceability and accountability for all transactions. •	Implement a simple-to-use system to control spend. •	Strengthen your supply chain. Call us on 0345 600 7177 to discuss how we can make buying for your business easier. 12Return is cloud-based returns management software for brands who care about their products in a circular supply chain. 12Return streamlines the customer return journey, the operations process in your return center, and the revalue of returned products. Trade management software enables goods to flow unimpeded across international borders in the most efficient, compliant, and profitable way. BOM Manager gives you the ability to make more informed decisions in your data management process. Sync the latest electronic component data, run dynamic reports in seconds and receive email alerts. Building Supply Controller is building supply management software that streamlines automation with POS, inventory management, customizable reporting and homepages, real-time reporting, and more. BusterFetcher.com is a software specially designed to track ALL possible refunds and automatically make claims for you directly to Canada Post. Cabrella Shipping Insurance Intelligence is a shipping insurance company that provides the best market rates on shipping insurance and a software one can use to quickly and easily file and generate claim information, receive risk analysis data, observe any loss ratios, and keep an eye on transactions. Easily integrate with any carriers and in multi-carrier systems. Cabrella's API acts as a supplement to the tracking function of different carriers. Chainply is a software that enables companies to optimize their supply chains by monitoring and analyzing the whole delivery process and manage relationships with suppliers to come up with the most competitive offer for the end user and utilize the stock in the most optimal way. QuickMove is a complete Integrated Business solution for Relocation including mobile platform. QuickMove is working on providing every possible comfort , process, standards and comfort to relocation industry. EquipNet's technology solutions ensures compliance and data security to leading corporations. TeamONE is a ground up new product that our team, along with a team from Microsoft, have innovated and put the platform components within the app itself - transforming the device into a smart node that opportunistically syncs and keeps industrial communications local. TeamONE is designed for hybrid connected industrial environments and can be downloaded, installed and used right away by anyone on any company or personally owned iOS and Android smartphones. LexisNexis Entity Insight complements conventional credit scoring, helping you spot supplier and third-party risks so you can take preemptive action, sooner. 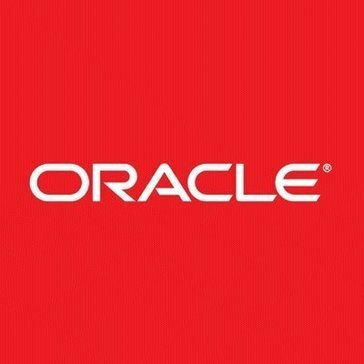 Oracle Supply Chain Collaboration Cloud enables you to plan supply with your partners, manage contract manufacturing activities and monitor business-to-business messaging. RSView®32™ is an integrated, component-based HMI for monitoring and controlling automation machines and processes. RSView32 expands your view with open technologies that provide unprecedented connectivity to other Rockwell Software products, Microsoft products, and third-party applications. ServiceDesk Plus MSP is a web based, ITIL-ready help desk software designed specifically for managed service providers. This all-in-one ITSM solution delivers comprehensive help desk, service desk, account management, asset management, remote controls and advanced reporting in a multi-tenant architecture with robust data segregation. SupportSync is customer support software, to manage all aspects of product support including customer service, RMA, and testing for small and medium size business to handle and track the customer's service history and gain insights on reasons for returned products. TOPS Pro is a packaging design software developed to assist packaging professionals in creating optimal package designs and pallet patterns. 4PACK is a global packaging solution that allows you to manage your entire workflow, graphics, content, and to coordinate the various roles that contribute to create packaging, product sheets, artworks and labels. ABS Nautical Systems (NS), a division of ABS, is provider of integrated enterprise software for the marine and offshore industries. Access FactoryMaster is a material requirement planning software that allows user to plan raw materials and stay in control of inventory, receive live shop floor notifications on job progress and costings, record all non-conformity issues and improve finished products and evaluate production performance with real-time reports. Access Orchestrate is a planning and scheduling software to aid on time delivery, reduced manual processes and to react quickly to order changes. Save time, money and manual labour with efficient production scheduling. Accuplus 3PL WMS is a warehouse management system that serves smaller companies in the North American 3rd party logistics industry. The software has been developed to be an easy to use, comprehensive WMS with the ability to manage multiple warehouses and documentation while providing a variety of useful and well laid out reports. Customer visibility and event management are at the heart of the design. Accuplus 3PL WMS is made up of a set of base systems and optional subsystems, which are bolted on to create a bespoke solution for an SME. The base systems include lot tracking, barcode label printing, and RFID compliance. LogiView is one of the key optional subsystems features, which can also be purchased as a separate SaaS package. It combines real-time aggregation, monitoring, and analysis tools to give users a control-tower view of the entire warehouse. The logistics portal collates information from across the warehouse to create useful reports on potential optimizations. Alongside it is a host of other subsystem features such as Haz/Mat and Distributor/Broker. Acsis Edge is a supply chain management software that makes possible to do data sourcing, processing, and distribution to all enterprise and partner systems for data availability and integrity. Actio Material Disclosure is a supply chain management software that is capable of tracking substances to ensure compliance with global regulations such as REACH, RoHS, and WEE. Activplant provides a set of data analysis tools for Manufacturing Operations that allow manufacturing companies to derive the critical data needed to run a profitable enterprise. Acutrack offers complete fulfillment distribution center services for packing & shipping for products with minimal inventory commitments. Supplier Management is an asset tracking software that is a way for companies to document and share information through business processes that enable collaboration between business units and the supply chain. AIMMS SC Navigator™ is cloud-based software built with the needs of today's overloaded supply chain professionals in mind. Our intuitive suite of configurable Apps helps you uncover hidden opportunities, answer unresolved questions and fast-track mission critical decisions. For every question that comes up, you can configure a targeted application to uncover the answer for S&OP, supply chain optimization, network design and more.. Now you can use a single supply chain analytics platform with multiple Apps to leverage common data and solve diverse supply chain management problems. No need to wait weeks or months to get the answers you need. You and your team can begin using it right away. The unique question-driven experience makes it easy. Akanea CUSTOMS is a supply chain management software that integrates French and international regulations that are updated daily list of sections, chapters and sub-chapters, classifications tree structure, referrals, measures, links to regulatory texts. Smart PR Approval is a simple to use solution designed by understanding the needs of users. The app can be deployed within 4 weeks without any need for ERP upgrades & untangles user from existing challenges. Once the app is deployed, PR approval managers can take PR approval decisions right from mobile device anytime. Allegro Horizon is a risk management software to help users being connected to the right information at the right time. Exigo, Altius supplier management software can help your business manage compliance across your supply chain, providing a real-time collaborative solution that scales with your business. AMAPS+PLUS is an MRP software that offers customer service, product definition and revision control sub-system, supply chain management, planning sub-system, finance, and accounting sub-system manages product costing, inventory costs, conservation of cash, and profitability. Araqich is sales and supply management app helps to manage the database of customers, products, stuff and use android ready devices for registering orders. Hi there! Can I help you find the best Other Supply & Logistics solutions?